I remember back in the day when I would sit quietly with folders on my desk to block my "neighbor" from looking at my paper. My teacher would distribute the multiplication timed tests and start the clock for a minute. I'd race to get as many problems correct as I could, but honestly, I've never been very fast at solving multiplication facts, despite my ability to answer them correctly. On a good day, I could get through most of the problems, but the rest were left on the page unanswered. So, now I'm obviously a teacher. 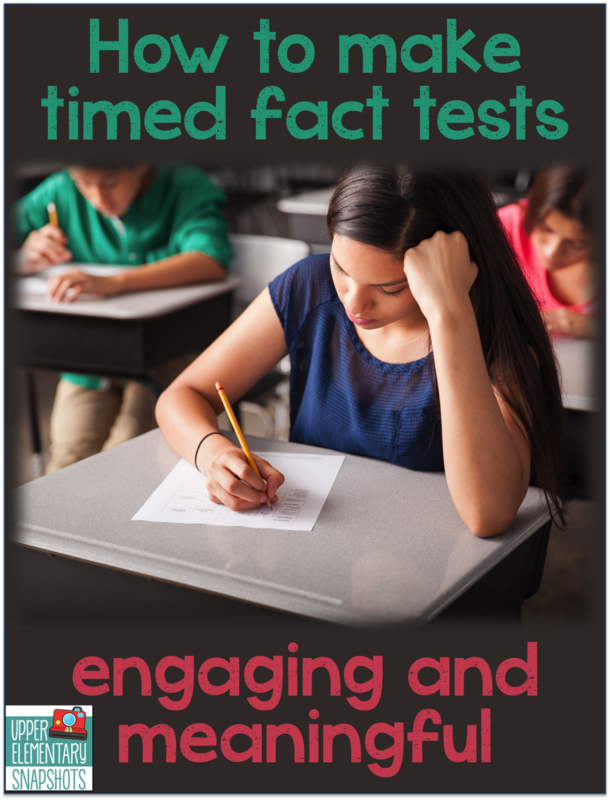 My first year of teaching, I did the timed tests the same way. 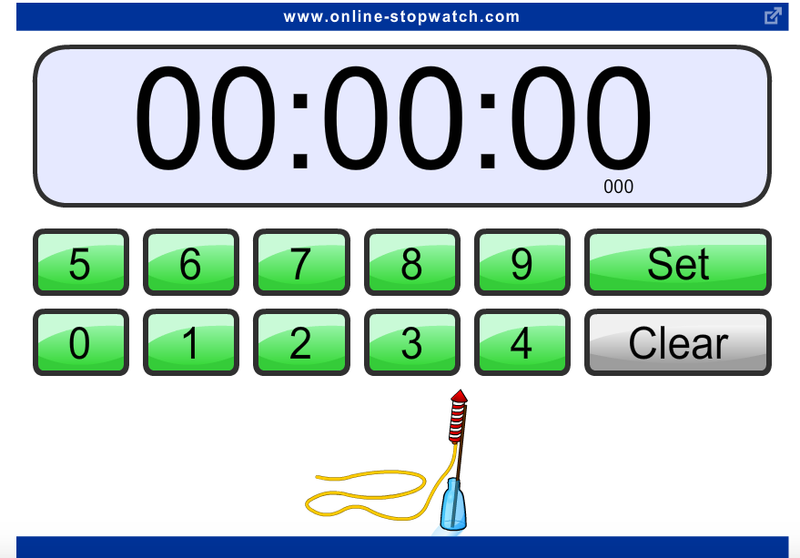 I would project a countdown timer on the board, set it for a minute, and allowed the students to start. As a teacher, when observing my students as they worked, I noticed that many students didn't even finish the first few problems. How would they ever finish the rest? Now, it was probably unlikely that they would take this paper home and have parents require them to finish the problems. No matter how many times I request parents to help their children learn their facts with flashcards I send home, very few actually do. It's just not high on their priority list in the evenings. Well, I think I figured out a way where students could answer all, if not most of the problems while having a bit of fun with it. First, I project a stopwatch on my whiteboard. Now, this may look different to you. It's set at 0:00. This is where my timed tests differ from others. My students count HOW LONG it takes them to complete all 50 problem...not HOW MANY problems they can complete in a minute. Then, I will pass out a timed test with 50 problems. 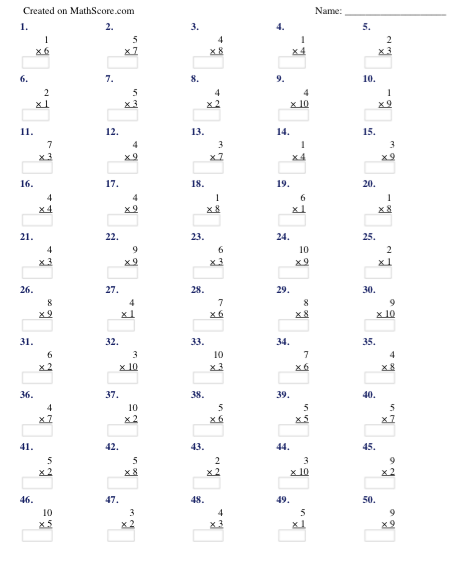 I typically use the website, www.mathscore.com because it really allows me to customize the tests (number of problems and the values of the multiplicands). Students put their name on top of the paper and put their paper upside down until I say, "start." At the beginning of the year, I tend to make the multiplication problems on the page easier and progress to more difficult ones in the future. Now, as students finish their tests, they are to look up to the whiteboard and record the time in which they finished on top of their paper. Once I see that all (or most) students are finished, I stop the clock. Students take out a red pen and we correct the answers together. At the end, the students write how many they answered correctly on top of the paper. After we correct the problems together, students take out a record sheet I give them. In their math notebooks, the students are to record which multiplication facts we covered (2s, 3s, 4s, etc. ), how many problems they answered correctly, and their time. They are always excited to see their improvements in both their number correct and their time. If students finish quickly, I usually let them finish up other work that needs to be completed, write in their journal, or read a book. I hope this provides you with a new idea for practicing facts in your class. It has worked wonders for me and students are actually excited because they are so competitive and love to beat their prior times. How do you practice math facts with your class? We'd love to hear your ideas!